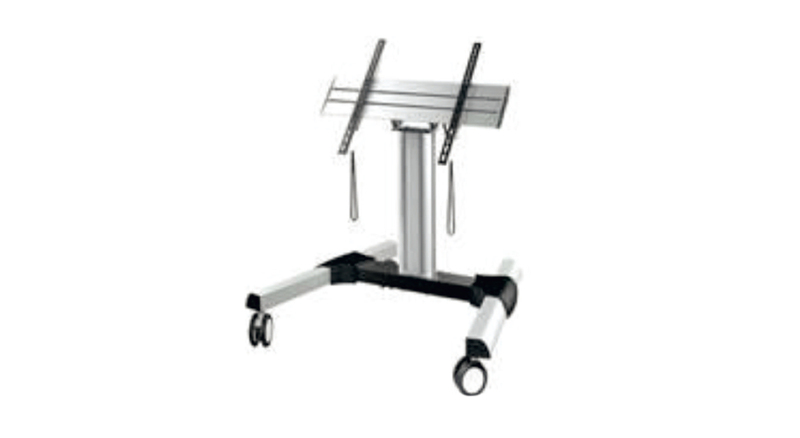 Elegant, technical and functional aluminum floor stand designed to provide a solid solution for presentation, compatible with most 37 "to 70" LED/LCD monitors. Total height 560mm. The TV support allows you to effortlessly adjust the tilt down (from 45° to 90°) for an optimum viewing angle that ensures perfect viewing, in addition to the possibility of using the touch monitor as an interactive table.